I was delighted when on a recent thrifting adventure, some amazing glasses caught my eye. I couldn’t believe my good fortune. I had finally found a set of camp snoopy glasses. They will go great with my garfield mugs, I have had since childhood. Does anyone else miss the actually glasses that Mcdonalds and Burger King used to do each year? Not only do I have the garfield mugs, I also have the batman forever glasses, flinstones, and disney movie ones. All from when I was a kid except this new collection. Do you have something that you collect that makes absouletly no sense to anyone else? 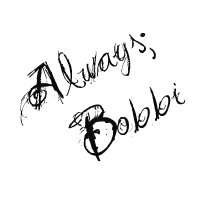 This entry was posted in Bobbi Janay, shopping, thrift, thrifting. Bookmark the permalink. Awesome find! I do remember those glasses, although I never had a set. I love all the old glasses they used to put out. My kitchen glasses might not match, but who cares. 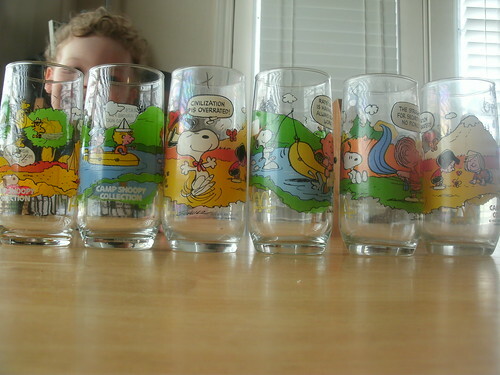 I remember how much joy I got out of using fun glasses growing up. 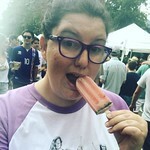 These glasses are an AMAZING find! You did good!